Our COLOSSAL line features the largest and most dynamic units available. 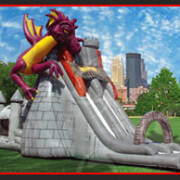 These inflatables are designed for high-volume crowds and are recommended for festivals, community events, grand openings or corporate picnics. These units are available for individual rent or on a pay-per-use basis. 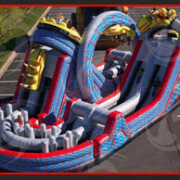 Our latest and greatest obstacle challenge mirrors the excitement of a real rollercoaster. 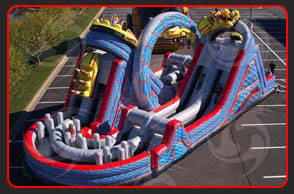 Experience the twisting turns, climbing the mountains and zipping down the other side. This ride is a SCREAM! 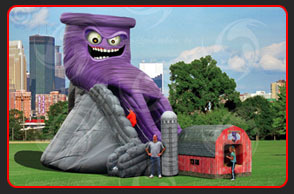 The monster appears, whirling above the unsuspecting patrons who will soon enter its vortex of winding excitement. Climb the twisting stairway to the eye of the storm and find yourself sliding almost out of control back towards the safety of the earth. Incredible detail throughout! 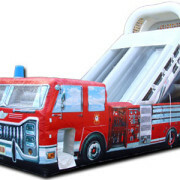 The twisting slide carries each passenger down its slippery slope to a gentle landing in the barn. 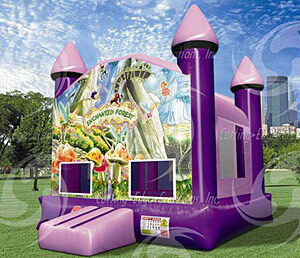 Not only does this playful combo-unit feature a bouncer entrance, it also boasts a giant climb and a large slide. A stoned arch stands over the exit landing…a reminder of days past. 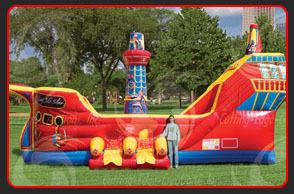 The PREMIER line features mid-sized inflatables that are perfect for large private parties, day care centers or school functions. 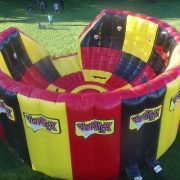 These units also pair well with any of the colossal pieces to create a mobile “bounce zone” at larger events and festivals. 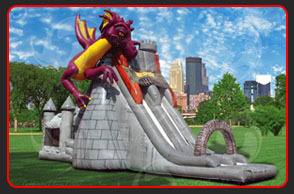 This themed mini-obstacle is great fun for kids that want to put their endurance skills to the test! 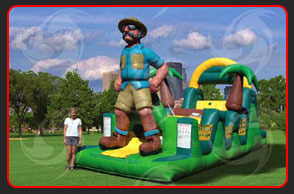 Safari, JR features squeeze plays, giant obstacles, tunnels and a giant slide. This unit is sure to please. Our latest combo features the look of a Spanish Galleon on the high seas. 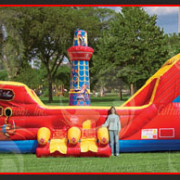 Designed as a combination climb slide and bouncer, the Buccaneer™ is a true favorite for children of all ages. 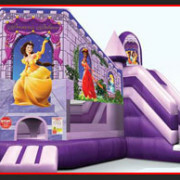 Little princesses can bounce and slide in this kiddie combo unit. 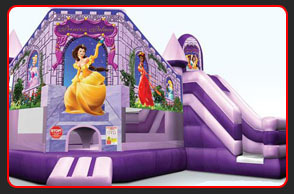 Make her party an enchanted adventure…perfect for the little lady in your family. The express line features our most affordable units, but with the same great quality and themed designs as the premier and colossal lines. These smaller units are ideal for events with space and budget constrictions. 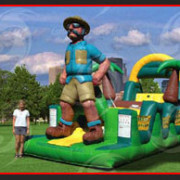 Kids will enjoy bouncing on the belly of this friendly, leaf-eating ambassador from the Orient! 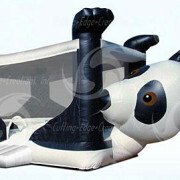 This adorable panda bouncer features child-proof wall netting that won’t catch small fingers, yet remains transparent enough to allow for easy supervision. 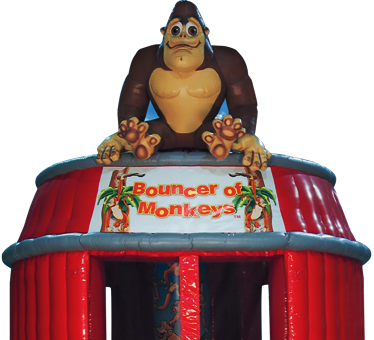 Thus unit is a perfect choice for any party theme. Let your child explore the magical world of fairies. Little pixies flitter across the incredibly detailed mushroom forest. 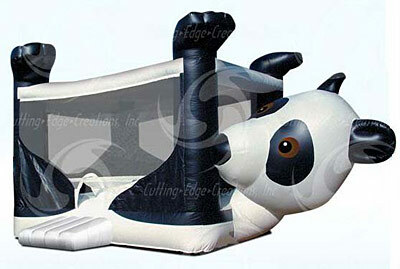 This unit features safety netting and an inflatable ram for the tiniest jumpers. 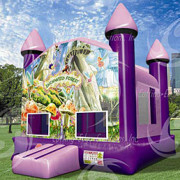 Make your child’s next party a fairy tale adventure! 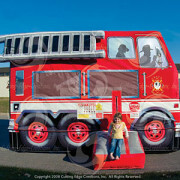 The Fire Truck bouncer is sure to bring smiles to the littlest guests at your next event. 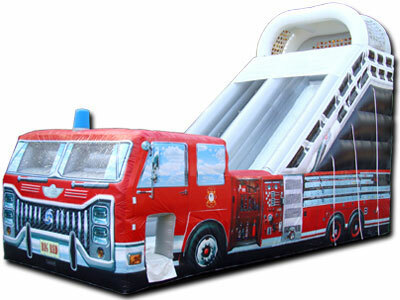 It makes a perfect companion to our Lil Pumper slide and is also a great choice when space is limited. Perfect for the little party-goers! This truck looks just like the real thing, but with the dimensions of a backyard slide. How many monkeys jumping on the bed? An adorable themed design based on a classic children’s game. 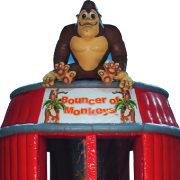 Ample bouncing space for monkeying around. 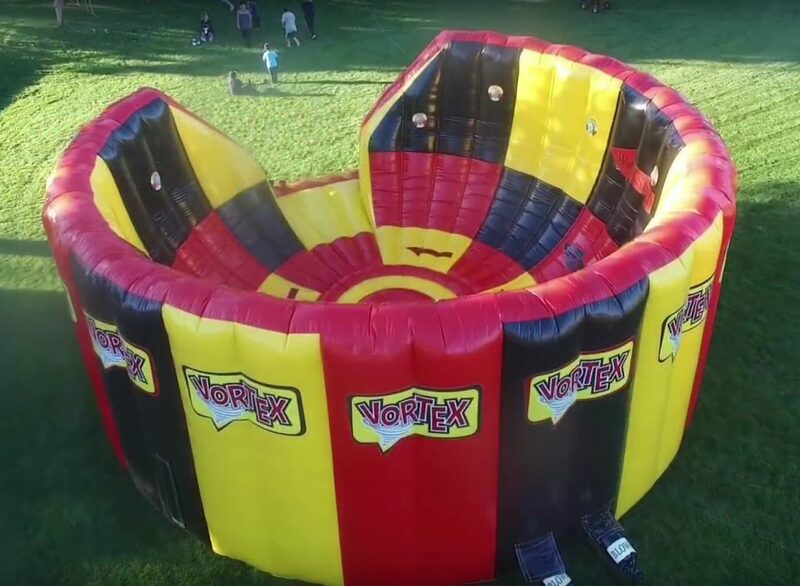 The Vortex provides competitive excitement for kids, teens and adults. Teams Red and Green race up the side of the Vortex to touch the LED lights of their respective team color. No two games are the same and players never know where their light will appear next. Good for all ages. 34’ X 18’ space required.